Special lesson about Mine, Masumi, Chiaki and Nodame's travel to Nagano. Chihuahua Review(short&amp;sweet): This is NOT a special lesson in the music sense(they're at the beach). If you're gonna watch this it is recommended to be watched AFTER EPISODE 8. Get ready for a little summer fun from Chiaki and friends. STORY: This is filler of the stop Chiaki and friends took on the way to the music festival in Nagano. Here a certain character's fear of water is inadvertently exploited by his/her unknowing comrades.^_^ This results in some mild humor and antics familiar to that of the series. Overall its funny but not to the level of some great extras (ie. Honey and Clover). ART: Artstyle remains unchanged from that of the anime. And if you don't already know its at a decent quality. SOUND: Sound is another unchanged aspect with the same OP. Makes me wonder why this wasn't just added to the first season. In this episode though there isnt the classical music that there usually is. CHARACTER: You get to better learn the depth of fear the ocean phobic character has. All the others have their fun moments with swimming races, rowboating, and bad farmers tans. XD. This episode really made me miss the characters since I watched it AFTER the main series. ENJOIMENT: It was a nice episode to see the characters out of their classical modes and having some fun. However its definately not the best episode of the series or one of the best side stories. OVERALL: Should be watched during the series OR if ur needing to see Nodame and friends once more before season two.&gt;_&lt; If you dont watch it you really didnt miss too much other than a little clarification on a later part. Recommendation: If you likethe original series watch this. If you liked this get ready for the Nodame Cantabile's Paris Chapter. Although the series are all very highly rated (and deservedly so), the "Nodame Cantabile" specials are not so hot. This special is probably the lowest rated one of the lot (and deservedly so). For one thing, it's only about half the length of a normal episode, which is not enough time to fit in anything of particular interest. For another, it's a beach episode, but since it's a josei, the result is a pseudo reverse harem-esq situation involving the afro timpanist (who I originally thought to be a girl, but who is actually a guy who acts like a girl, apparently) and Nodame fighting over Chiaki as he is rendered helpless from the fear of drowning. The event actually slots into one of the episodes in the series where Chiaki's gang is going to the music festival - it takes place during a detour en route to the festival. So perhaps rather appropriately, it feels like sub-standard material that didn't make the cut for the original series. It's more mildly amusing than downright terrible, but ultimately it's pretty forgettable. If you don't see it, you're honestly not missing out on much. What made the Nodame Cantabile series work are the wacky humor, great characters, and some great classical music pieces. There is a decent amount of Chopin that arouses my classical music love. No one can truly forget Chiaki's performance of Piano Concerto No. 2 in C Minor by Sergei Vasilievich Rachmaninoff. This is what made Nodame Cantabile work and I consider it a masterpiece of a work. Thus, I finish off the intro with these following thoughts: Nodame Cantabile is a coming-of-age and romance story of two classical musicians aspiring to work together in prestigious orchestras. 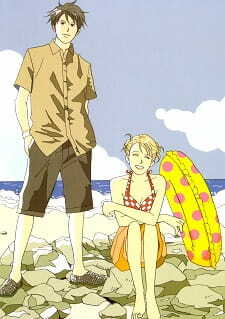 Nodame Cantabile Special is a beach episode. This special is best watched after episode 8. It may be reasonable to call this 8.5 if the special wasn't this lame; it focuses on Chiaki's hydrophobia and has all the major characters that we all adore: the two lead characters, Mine, and the campy Masumi. And oh yes, we must not forget the glimpses of abs and Nodame's bra. Basically, this work is fanservice. Thank you, JC Staff; we wouldn't know what to do without you. While the perfected relationship dynamics of the characters from the parent story are shown in this special, it feels lacking. There is no compelling need for the characters to go to the beach. The humor just didn’t come off right, thus being bland and stale. This is not the Nodame Cantabile that I wanted. It isn’t entertaining. I cannot fathom a Nodame Cantabile episode that is not entertaining. This special clearly breaks the laws of physics; it is unimaginable to find an episode such a bore. However, this one did and good god, it did too well.